Take out the chill of early morning training sessions in this men's jacket. Made of soft cotton, it features ribbed side panels and banded cuffs for extra comfort and fit. 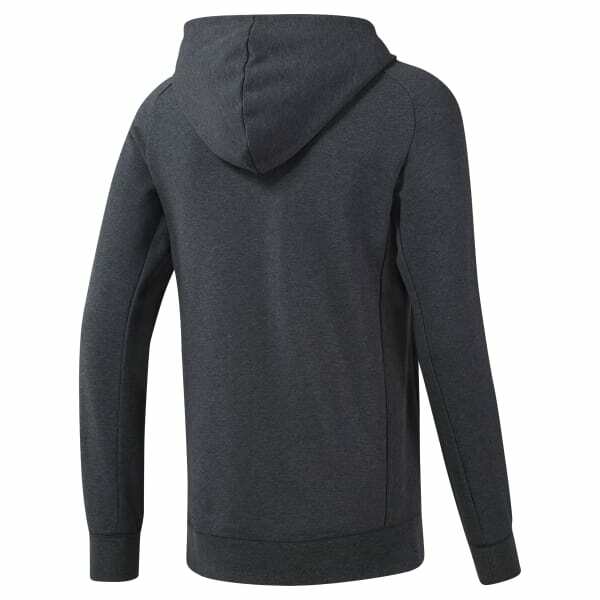 The full zip and hood offer adjustable coverage in the cold.